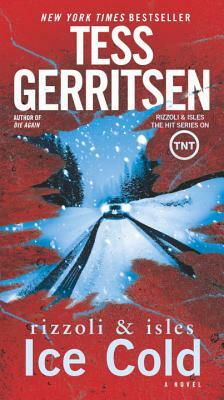 Tess Gerritsen’s relentless, inventive novels take readers on pulse-racing thrill rides that are as satisfying as they are heart-stopping. Now, in this edge-of-your-seat suspense novel, a mysteriously isolated town stands abandoned as a silent watcher waits. In Wyoming for a medical conference, Boston medical examiner Maura Isles joins a group of friends on a spur-of-the-moment ski trip. But when their SUV stalls on a snow-choked mountain road, they’re stranded with no help in sight. As night falls, the group seeks refuge from the blizzard in the remote village of Kingdom Come, where twelve eerily identical houses stand dark and abandoned. Something terrible has happened in Kingdom Come: Meals sit untouched on tables, cars are still parked in garages. The town’s previous residents seem to have vanished into thin air, but footprints in the snow betray the presence of someone who still lurks in the cold darkness—someone who is watching Maura and her friends. Days later, Boston homicide detective Jane Rizzoli receives the grim news that Maura’s charred body has been found in a mountain ravine. Shocked and grieving, Jane is determined to learn what happened to her friend. The investigation plunges Jane into the twisted history of Kingdom Come, where a gruesome discovery lies buried beneath the snow. As horrifying revelations come to light, Jane closes in on an enemy both powerful and merciless—and the chilling truth about Maura’s fate. New York Times bestselling author Tess Gerritsen earned international acclaim for her first novel of suspense, Harvest. She introduced Detective Jane Rizzoli in The Surgeon (2001) and Dr. Maura Isles in The Apprentice (2002) and has gone on to write numerous other titles in the celebrated Rizzoli & Isles series, most recently The Mephisto Club, The Keepsake, Ice Cold, The Silent Girl, Last to Die, and Die Again. Her latest novel is the stand-alone thriller Playing with Fire. A physician, Tess Gerritsen lives in Maine.